As you can probably tell by the above list it was quite a day traveling around the eastern reaches of the Tri-state in search of birds. And as any good blogger would tell you that throwing in a few pictures now and then might enhance the quality of your blog post. And being a blogger I couldn’t agree more with a statement like this, however yesterdays adventure unfortunately resulted in only 2 pictures worth posting. Either the birds wouldn’t hold still long enough, like the Fox Sparrow, or the birds were so distant that taking a picture would have been horrible and not worth the trouble, like the White-winged Scoter. Or the most frequent problem when trying to digiscope any bird. They fly away just as your ready to get your gear ready, like the Common Goldeneyes. So with all the excuses out of the way, let’s proceed. Picking up Jon at 8:00 am, we then drove to Armleder Park as our first stop of the day. The flooding Little Miami River had finally receded enough for it to be re-opened to the public just a few days ago. Jon had heard that there was some good water fowl activity at the “Bean Field” and thought it was worth the walk back through the woods to get there. 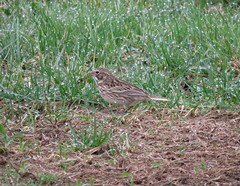 Sparrows were in abundance as we made our way to the bean field. Song, White-crowned, and an occasional Fox were scattered throughout the tall grass that lined the paved path back to the overlook of the river. As we entered the woods the birds came alive with activity and for the Crows, this was especially true. I’m talking about dozens upon dozens of Crows raising the roof with distress calls. And soon we found out why. 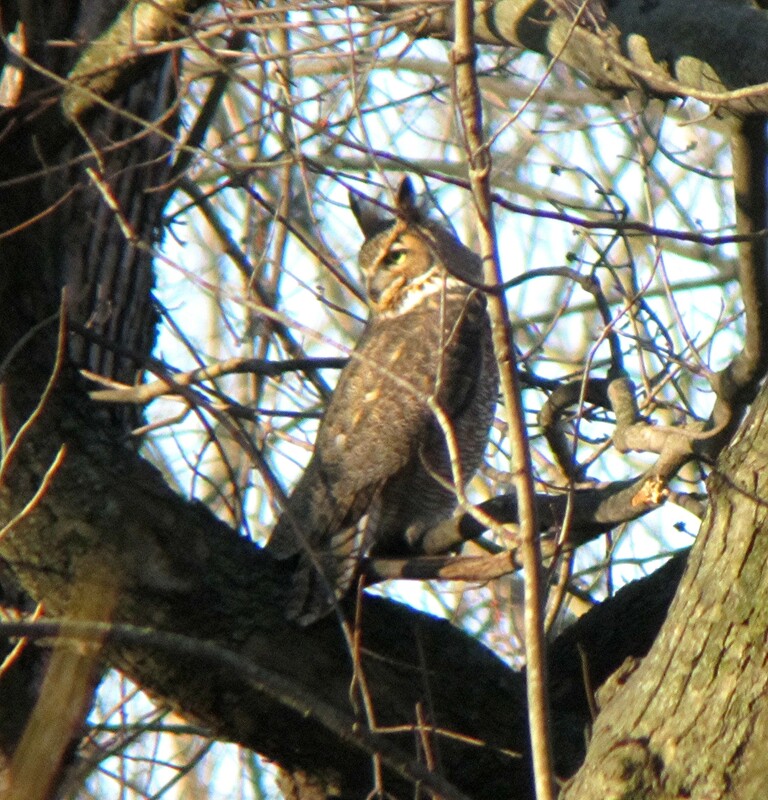 I can’t remember the last time I saw Crows harass an Owl quite like this poor Great Horned Owl. And what even surprised me even more was the fact that it held still long enough for me to get it’s picture. If it wasn’t flying from one perch to the other, Crows were chasing it. And when it did perch the Crows either dive bombed it or perched nearby and Cawed at it. 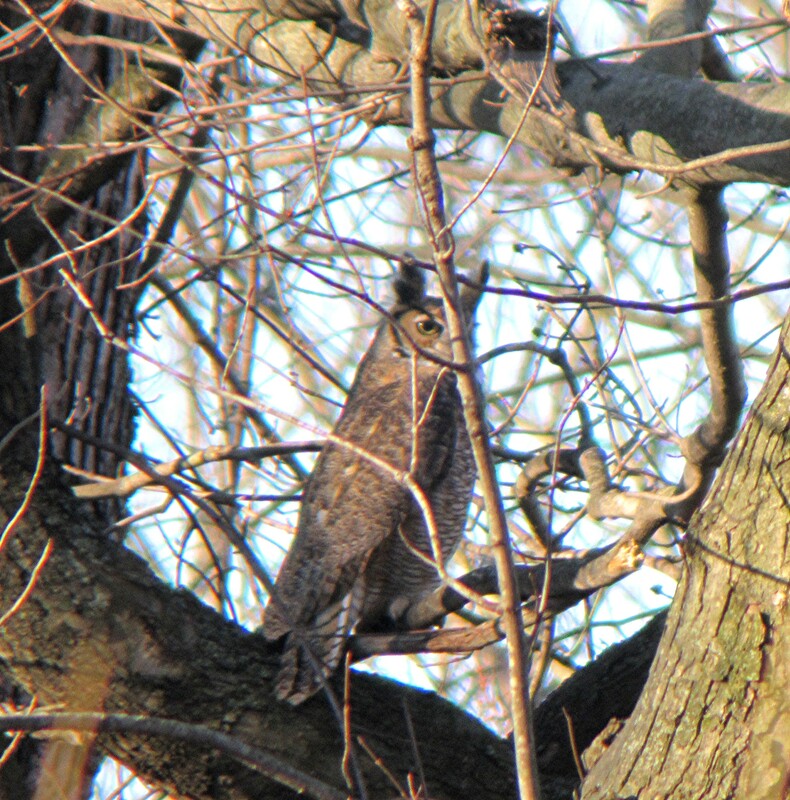 After 20 minutes of watching this the Owl finally flew away with the Crows in hot pursuit. 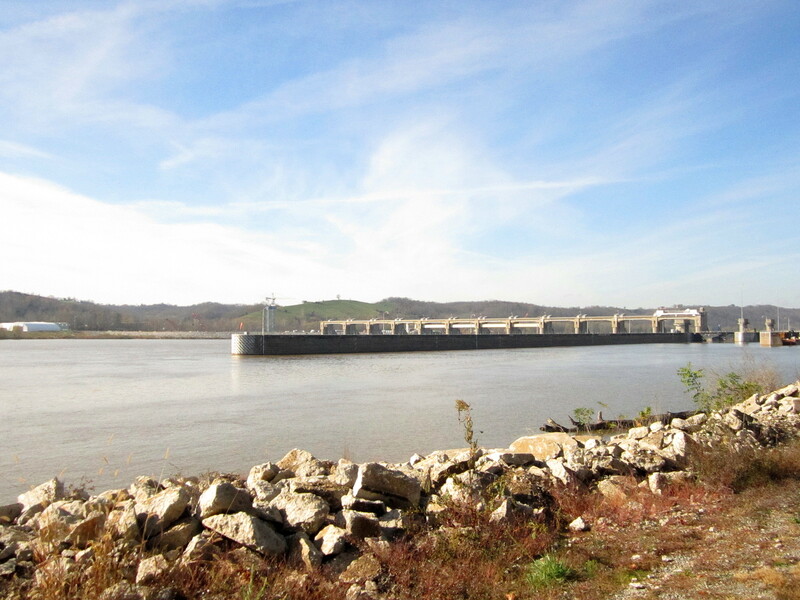 After Armleder Park we picked up Ohio Route 52 which runs along the Ohio River and made our way to Meldahl Dam. On the up stream side of the dam we’ve had some good luck with a few good birds in the past. Notably a Lesser Black-backed Gull and a Red-necked Grebe. And today was no different when Jon spotted a White-winged Scoter pretty much by itself. Meldahl Dam can be at times a hit or miss location, and if it wasn’t for the Scoter it would have been a miss today. A couple miles down the road from the dam sits Crooked Run Nature Preserve. And it was during our visit there that we, or should I say myself, spotted a pretty cool bird. I wish I could add an ariel photo of what Crooked Run looks like from above because it’s a very nice place. 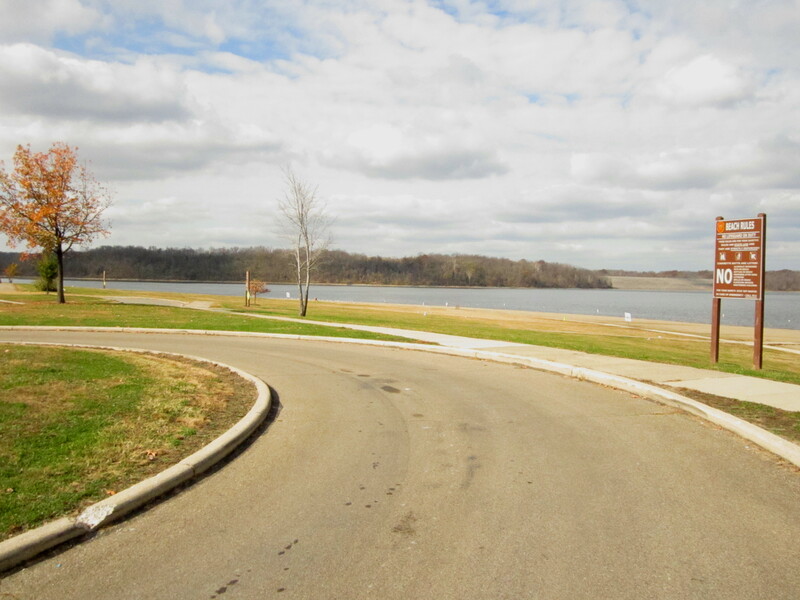 First you have the Ohio River on one side, and an estuary coming off the river and cutting a water course forming a small peninsula so to speak. And on this peninsula there is this wonderful nature trail. At first the trail follows the estuary before it cuts across to the river side. Now this is where the story gets interesting. Before Jon and myself even starting walking the trail, Jon told me if I read the post from uber-birder Brainard Palmer-Ball about a Great Egret that he as well as another person spotted from the Kentucky side of the river, since we were in the general area where the spotted the Egret. I didn’t remember at the time, but after getting home and reviewing old sighting posts I found the one he was talking about. It was dated January 29th. So it was during this hike on the trail as we spooked a few Great Blue Herons, we spooked a very large, all white, wading bird. Not wanting to take my eyes off of it I didn’t put my bins to my eyes and watched for several seconds as it flew away from us following the estuary towards the river. As I exclaimed “Did you see that”? Jon’s reply was he was looking in the other direction and never saw the Egret. Well I know a Great Egret when I see one and there was never any doubt in my mind what I saw. A Great Egret in February. Who would have thought. 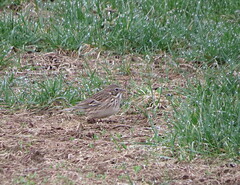 Needless to say it made the eBird hit parade, and with my description, it was confirmed by the eBird reviewer. 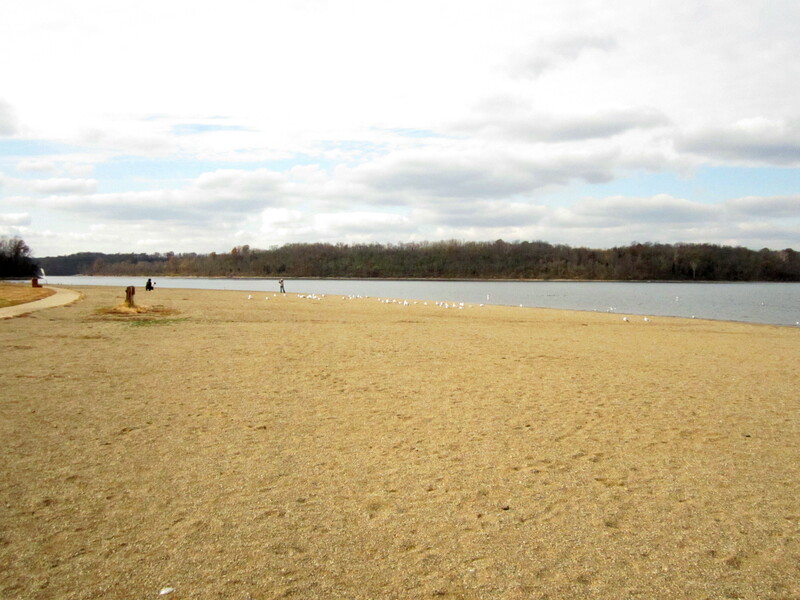 Feeling rather pleased we made our final drive to East Fork State Park for a scan of the lake from the beach area. There was the usual crowd of Ring-billed Gulls hanging out on the beach, much like they do at the beach at Caesar Creek. And there was a large gathering of assorted water fowl all the over by the dam, but being pretty inaccessible by land we opted to view from afar and make educated guesses to the species type. I was really looking forward to going birding this Sunday because finally I was able to get Jon and John together, and as a group go over some of the details for our Michigan birding adventure for this upcoming Winter. We can blame Hurricane Sandy for throwing a monkey wrench into the works and cancelling John’s flight on Monday so he had to depart on Sunday. We are closer to finalizing the trip, just a few loose ends that need to be taken care, and no better way to do that than do a little birding. Oh well, there’s always next time. The plan was to meet over at the Jungle Jim’s at Eastgate and then drive together to Mehldahl Dam. Never having been there before I was kind of anxious to see what the place was like. According to Jon the area surrounding from the dam can be either very busy, or a bust. 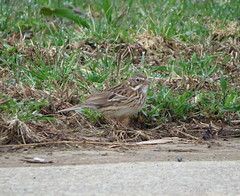 Savannah Sparrows and Bluebirds and a lone Red-headed Woodpecker greeted us as we entered the complex. After gathering our gear and walking towards a rise that overlooked the dam on the upstream side, we set up our scopes and started to scan the area. Not too many birds out into the river, however there were quite a few gull species and D.C. Cormorants, and a few smaller size duck shaped birds on the Kentucky bank. The morning was bright as the Sun burned off the last of the morning fog and with just a bit of a haze as you looked towards Kentucky I caught sight of a large gull with a black back. Getting Jon on the bird we studied it for several minutes, referring to the field guide just to make sure what we were looking at was exactly what we were looking at. 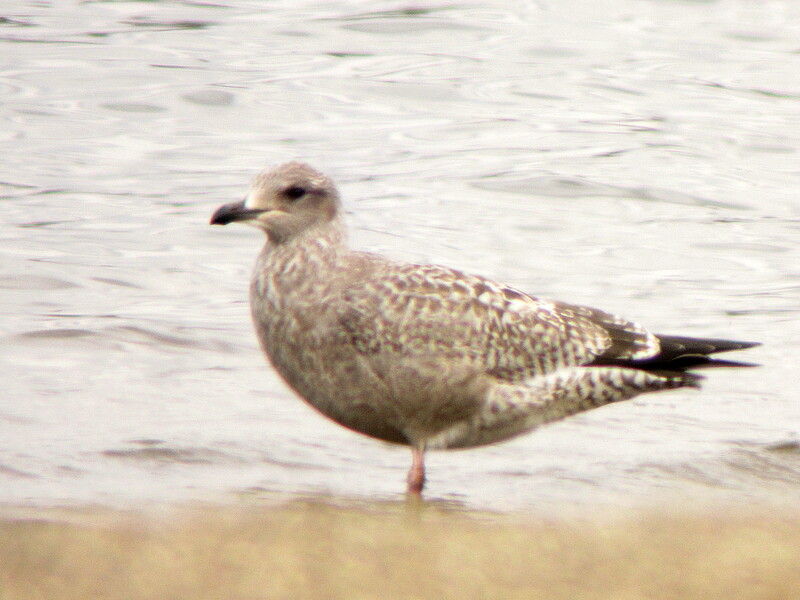 Conclusion, Lesser Black-back Gull. A very nice bird for Kentucky. The longer we stood there more and more birds started to catch our eye. Soon a group of Horned Grebes of 3 or 4 were spotted and with it was a larger bird, much like a Grebe, but not like a Loon. Red-throated Grebe. Another very nice bird for Kentucky. I’m beginning to like this Mehldahl Dam after all, and the drive might be worth it if we keep seeing great birds like this. Crooked Run Nature Preserve was our next stop, and being only a few miles down the road it was worth not passing it up. There really wasn’t too much on the river and the trail that lead through a large grassy area with a small pond yielded a ton of Field, Swamp and Song Sparrows. As the morning wore on our last stop was East Fork State Park. Neither of us are very familiar with the park and for myself the only time I was there for birding, I was at the beach. So finding other venues to scope out the lake, other than the beach was pretty futile so we stuck with the beach. Lots of Gulls, and hardly a breeze to kick up the lake. 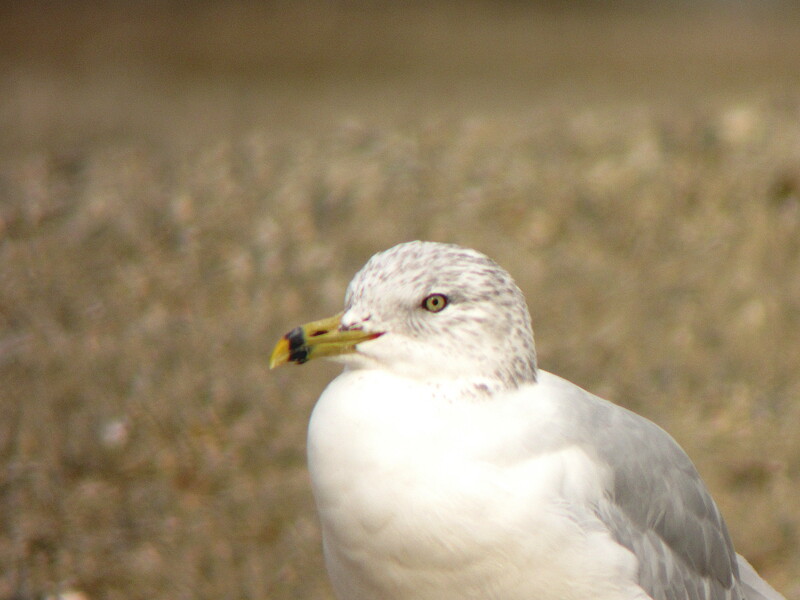 And speaking of Gulls, Gulls can be pretty tricky when it comes to making a good ID. You see it takes several years for a Gull to mature into what you may see in a typical field guide. And trying to determine what type of Gull you’re looking at when it’s not an adult can be a daunting task trying the patience of many a good birder. Such was the case as we pulled in an set our sights on a rather darkish Gull. Even after it landed it took a few minutes to make the proper ID. 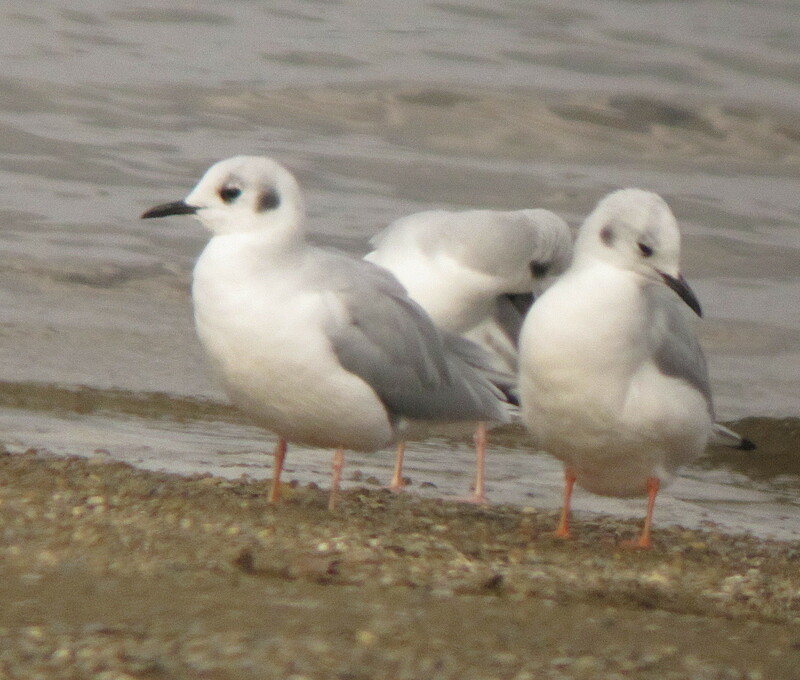 And there were plenty of Bonaparte’s Gulls to go around. East Fork didn’t have as many birds as we had hoped for. We did spend our time doing a lot of scanning of the water in hopes of anything unusual. Not being as familiar with the lake and the surrounding roads we were at a bit of a disadvantage. It would have been nice to do a little bit of exploring to get a better lay of the lake, but alas that will have to wait till another time. It was a swell day of birding with Jon and Jason, and I apologize again Jason for calling you Justin. I’m blaming the time change for screwing up my internal clock. And to top it off Jason came away with I think 2 life birds. Sweet!